When anyone occupieth himself in a craft or trade, such occupation itself is regarded in the estimation of God as an act of worship; and this is naught but a token of His infinite and all-pervasive bounty. – Baha’u’llah, Tablets of Baha’u’llah, p. 26. In the first part of her interview with BahaiTeachings.org, we learned about Sahar Freemantle’s creative childhood, her journey into millinery, her unique and beautiful approach to style and design, and her vision and mission for Sahar Millinery as a global brand. 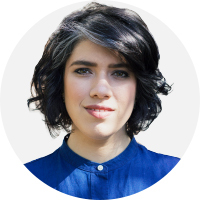 In the second part of this interview, we ask Sahar about the Baha’i quotes and teachings that inspire her creative process, how she strives to bring to life spiritual attributes such as beauty, creativity, perfection and excellence through her work, how she relies on prayer, and how acting and working in the spirit of faith enables her to view her work and service as one, united system. Q: What are some Baha’i teachings or quotes that inspire your creative process? A: There’s a big emphasis in the Baha’i writings on beauty and the importance of the arts. There’s also a fair amount written specifically on crafts and attaining a high degree of excellence. I absolutely love that these efforts and ideas are encouraged. The fact that we’re taught to obey the Baha’i laws out of love of God’s beauty is just mind blowing to me—it puts a mystical spin on the subject of spiritual laws. How cool is that? Observe My commandments, for the love of My beauty. Happy is the lover that hath inhaled the divine fragrance of his Best-Beloved from these words, laden with the perfume of a grace which no tongue can describe. – Baha’u’llah, The Most Holy Book, p. 20. One of the names of God is the Fashioner. He loveth craftsmanship. Therefore any of His servants who manifesteth this attribute is acceptable in the sight of this Wronged One. Craftsmanship is a book among the books of divine sciences, and a treasure among the treasures of His heavenly wisdom. This is a knowledge with meaning, for some of the sciences are brought forth by words and come to an end with words. – Baha’u’llah, from a tablet translated from the Persian. The purpose of learning should be the promotion of the welfare of the people, and this can be achieved through crafts. It hath been revealed and is now repeated that the true worth of artists and craftsmen should be appreciated, for they advance the affairs of mankind. Just as the foundations of religion are made firm through the Law of God, the means of livelihood depend upon those who are engaged in arts and crafts. True learning is that which is conducive to the well-being of the world, not to pride and self-conceit, or to tyranny, violence and pillage. – Ibid. 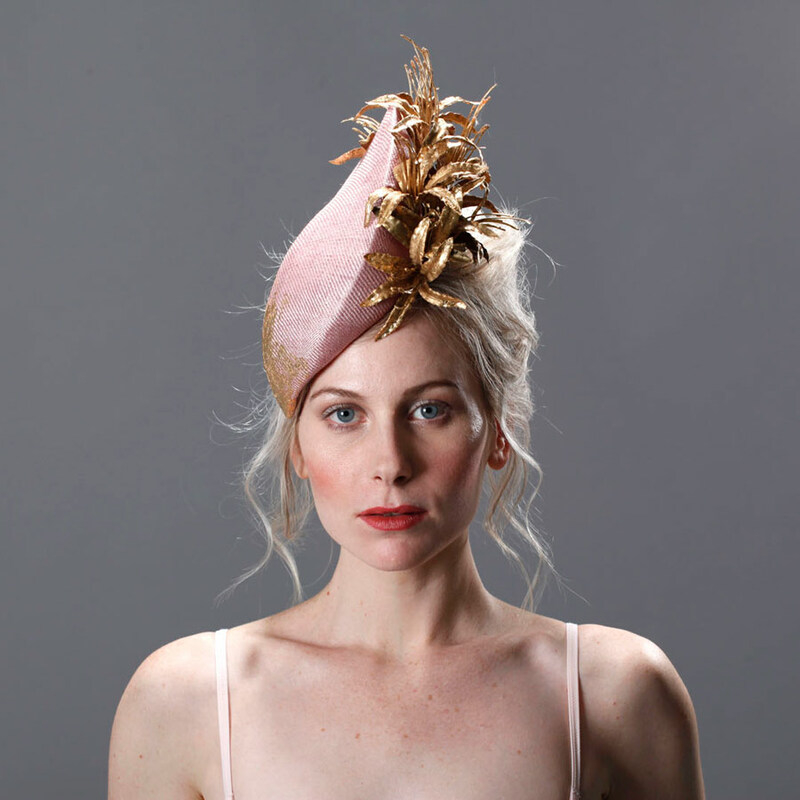 Q: Do you find that the art of millinery has a spiritual component? How so? From a societal standpoint, it’s pretty clear from recent research, and of course what Baha’u’llah wrote some 150 years ago, that arts and crafts promote the welfare of society. From a spiritual standpoint, sometimes I pray to ask God to work through my fingers to create a perfect hat, something flawless and pleasing to the eye. If we think of beauty, creativity, perfection and excellence as being attributes of God, then anything created in this world which manifests these attributes are the physical manifestations of these spiritual virtues. At the end of the day—this, I think, is how we’re meant to live on this Earth—we all should try to practice and manifest the spiritual attributes of God, whether that’s an act of kindness, practicing patience, or producing beautiful artwork. Q: What are some Baha’i teachings that assist you in running your own business as an artist? O God! O God! Cause me to drink from the cup of Thy bestowal. Illumine my face with the light of guidance. Make me firm in faithfulness and steadfastness in Thine Ancient Covenant. Suffer me to become one of Thy sincere servants. Open before my face the doors of prosperity. Prepare for me the means of livelihood. Give me my bread through channels over which I have no control, Thy heavenly treasures. Grant me the power to turn my face toward Thy merciful Countenance, to be faithful to Thy Cause. O Thou Clement and Compassionate One! Verily, Thou art gracious to those who are firm and steadfast in Thy strong and impregnable Covenant. Praise be to God, the Lord of the worlds! – Abdu’l-Baha, Star of the West, Volume 8, p. 167. I think prayer and meditation are really important, because they help me hand over my worries to God—and then it’s like “Great, I no longer have to worry about that, because I’ve given that worry to God, so I can just get on with things now!” Having said that, as Baha’is we’re encouraged to pray every day and not just in the hard times. I think this is a really good practice because it inspires an attitude of daily gratitude, and it inspires me to act. I’ve also benefited from a number of tools, courses and exercises outside of the Baha’i Faith that have helped me approach my business practice in a more holistic manner such as personal development courses and books, coaching, and ancient meditation practices. I think it’s important not to discredit other sources and really find a mix of what works for you. Q: Could you share some examples of ways in which you’ve been able to serve your community through millinery? A: In the broader sense, there’s not really a dichotomy between what I do for my community, and what I do for myself, for money, etc. I think as Baha’is if our general way of being is to act with the spirit of faith, giving, growing, etc.—then everything, such as work and service, becomes one. Oneness permeates everything. That said, I will answer your question with some direct examples of community work through practicing my craft. Once for the Birthday of Baha’u’llah we took over my entire studio to tell the story of the life of Baha’u’llah through artworks, installations, performances, games and puzzles. We even had a net full of live locusts, We documented the evening, and you can watch it below. 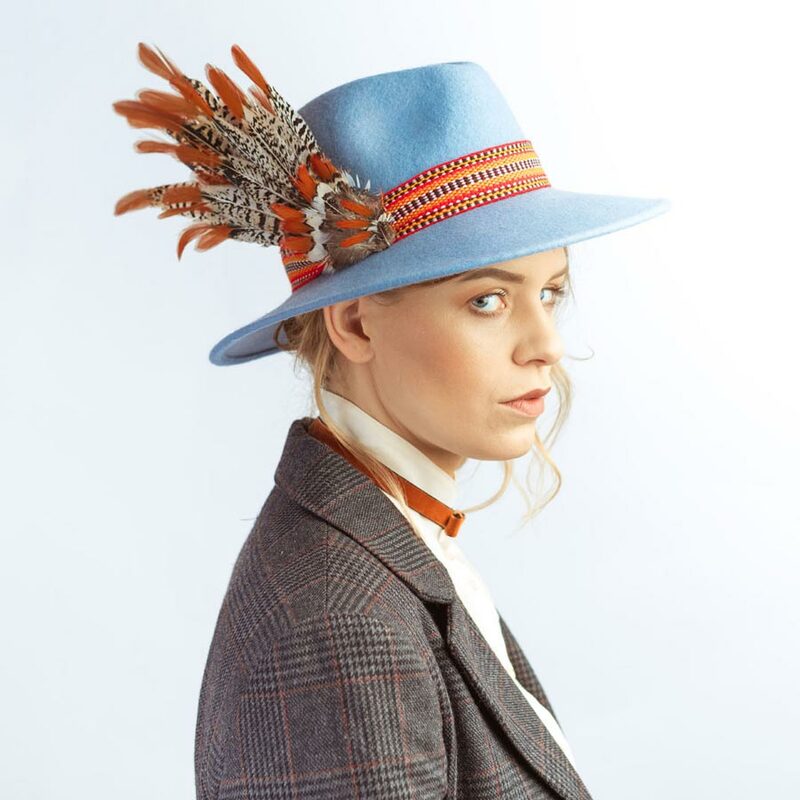 I was delighted to collaborate with Sarah Percival, a London-based storyteller and actress, making hats and costumes for her Baha’i inspired performances that toured many venues around the world. We then made a dress full of roses for an opera performance with Honey Rouhani, which was a collection of Persian stories of the lover and the Beloved. Honey (the opera singer) was the nightingale and the dress was the rose garden. I have also created Hat Over Heels, which was a hat-making workshop for women who are undergoing hair loss. These were fully funded and offered for free to the women. All milliners and helpers were volunteers—that in itself was amazing to see the total joy caused through being of service, with everyone knowing their carefully honed skill can so easily be used for good. For the participants, the experience was fun, creative, and healing. It was a wonderful day, and one I’d like to repeat. 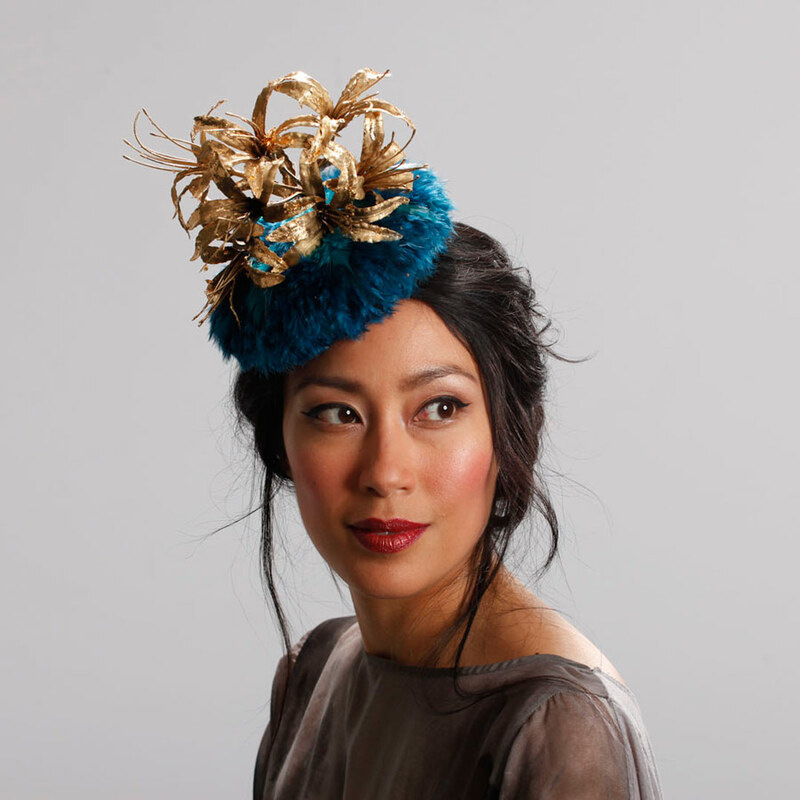 A: To carry on with the growth of Sahar Millinery. I have a vision of my future shop (and it’s awesome! ), I have ideas for video content and TV shows around craft, beauty, and exploring creativity, I also have an idea for a schools program, teaching history through historically accurate costumes. So, to carry on with what I’m doing, plus to implement these ideas when God sends me the right people and leads to help make them happen! Q: How can our readers get in touch or learn more about your work? A: My studio is in central London, so if anyone would like a hat, or wants to attend a workshop, come along! Or, there’s my website www.saharmillinery.co.uk and www.uglylovely.co.uk. My email address is sahar@saharmillinery.co.uk and instagram is @uglylovelysahar. Thank you for sharing this film and inspiring others with your "immersive, theatrical...creative, multi-sensory experience" as a model for story-telling and celebrating Holy Days. Bravo! Sahar is a wonderful artist. She was a guest at one our soirees based on the arts and spoke about the spiritual themes and love of nature that inspired her work. Our guests were delighted, as were we!